What can’t grads afford because of student loans? Kids, for one. Crushing debt is making a generation put off living their lives. It is usually at some inconvenient hour in the middle of the night that I am seized by one fear: Will I ever have children? My husband and I, both in our early 30s, happily celebrated five years of marriage in March. I always assumed that, around the half-decade mark, we would consider starting a family. Yet over the past couple of years, I have wondered whether we can actually afford it. People have told me that nobody would have kids if they really ran the numbers. American parents will spend an average of $245,340 to rear a child born in 2013 to the age of 18, according to the US Department of Agriculture. In the urban Northeast, the average jumps to $282,480. Yet those figures aren’t even what bother me. What keeps me awake at night are my tens of thousands of dollars in student loan debt, which I incurred a decade ago and I’m nowhere close to paying off. How can I possibly pay for day care, too? I am not alone in this realization. Forty-three percent of student borrowers have delayed starting a family because of those loans, according to a 2013 survey by American Student Assistance, a Boston nonprofit that provides financial guidance for students. Many other graduates are putting off getting married or making a down payment on a house or buying a car. It’s as if an entire generation of adults has temporarily given up trying to achieve the traditional markers of adulthood. My husband and I feel the direct effect of our debt on a daily basis. The bulk of our income goes to paying rent and making minimum loan payments, which leaves precious little for anything else. We’re not alone, either. The median net worth of a household headed by a college-educated person younger than 40 with loans is $8,700, according to a recent Pew Research Center report. The net worth of a similar household without loans? Nearly $65,000. People have been ringing the alarms about crushing amounts of debt for some time now, yet the situation is still spiraling out of control. The college class of 2015 is the most indebted in history, with its graduates carrying more than $35,000 in outstanding loans, on average. Student loan debt increased by 84 percent between 2008 and 2014. It’s the only type of consumer debt not decreasing. I realize that nobody forced me to take out loans — I was an adult, it was a conscious decision. But I also suspect the typical 18-year-old doesn’t fully think through the long-term ramifications before he or she signs on the dotted line. I never dreamed that I would find myself questioning whether I’d ever have children because of loans that I took out more than a decade ago. In my effort to find better terms for my debt, I’ve learned that refinancing is trickier than you might expect. My bank wouldn’t even consider refinancing them because I’m enrolled full time in graduate school. Alternative lenders have begun to spring up in recent years, but they have their own rules. A company called SoFi, started by Stanford Business School grads to provide more competitive interest rates, will so far only refinance loans from graduates of a select list of colleges and universities. 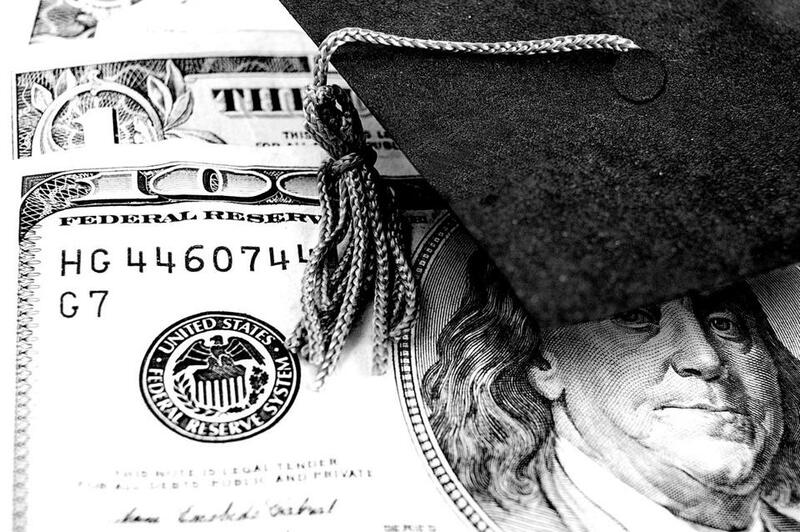 Another company, CommonBond, restricts its refinancing clients to graduates of particular programs at particular schools in its network — often that means people heading into high-earning fields such as business, law, and medicine. Moreover, refinancing with a private company would mean forgoing certain advantages that come with federal loans, such as access to income-based repayment plans, loan forgiveness programs, or the option to defer in cases of financial difficulty. Even the most admirable programs seem to me woefully underadvertised. For instance, I might one day qualify for the Public Service Loan Forgiveness Program, which stipulates that full-time employees of institutions like public schools and libraries are eligible to have their loans forgiven after making 120 on-time loan payments. Maybe I’ll get that sort of job, or maybe I won’t, but at least I know about the option. I have three friends in their early 30s all working in public service jobs; not one of them had ever heard of the program. Ultimately, none of my findings can answer my question of whether to have kids — there is too much uncertainty. But if I could go back in time and talk to my 21-year-old self — the confident idealist ready to make her mark on the world — I would caution her against incurring such enormous debt. I also know that if I am able to have children one day, I will do everything I can to keep them out of student debt. My goal: to pay off my loans before I take on theirs. Jenai Engelhard Humphreys is a doctoral candidate at Boston University. Send comments to magazine@globe.com. - How did colleges become country clubs? - What is it like to be poor at an Ivy League school?